LGI Homes Expands Across Greater Orlando Market | LGI Homes, Inc.
ORLANDO, Fla., Dec. 05, 2018 (GLOBE NEWSWIRE) -- LGI Homes, Inc. (Nasdaq:LGIH) is now selling in two new communities in the Orlando area, Meadow Ridge and The Ridge at Swan Lake. Located in northwest and southwest Orlando, respectively, both of these incredible neighborhoods provide easy access to Orlando’s best employment centers, as well as unbelievable shopping, dining and entertainment options. 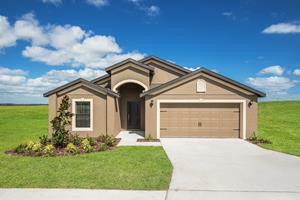 LGI Homes expands into the Greater Orlando Market with new homes starting in the high-$100s. The first of the two new communities, Meadow Ridge, offers a collection of one-story plans conveniently located near US-27 and Florida’s Turnpike. Amenities at Meadow Ridge include a picnic area, barbecue grills and walking paths. Mount Dora and the shores of Lake Eustis provide ample opportunities to partake in festivals and a multitude of outdoor activities. The second community, The Ridge at Swan Lake, showcases a collection of new one-story homes near Winter Haven with easy access to FL-17. Adjacent to the community is Lake Marie Park offering a variety of outdoor recreational opportunities such as a children’s playground, a boat ramp, walking and biking trails and picnic pavilions. At Meadow Ridge and The Ridge at Swan Lake, LGI Homes is constructing eight distinct floor plans ranging in size from 1,270 sq. ft. to over 1,980 sq. ft, with up to five bedrooms and three full baths. Open floor plans, spacious family rooms, private master bedrooms and $10,000 worth of included upgrades are a sampling of the desirable features found in each LGI home at Meadow Ridge and The Ridge at Swan Lake. These beautiful homes begin in the high $100s. LGI Homes offers quick move-in homes and $0 down financing options for qualified buyers in both of these new home communities. For additional information on available homes in these communities, interested homebuyers are encouraged to visit LGIHomes.com/Orlando.